The Bluesy side of Prasanna. 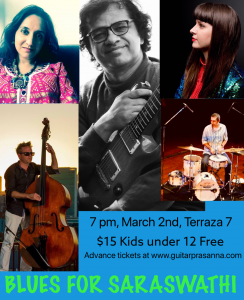 Featuring Prasanna’s Blues based compositions and his interpretations of songs by B.B. King, T. Bone Walker, Muddy Waters, John Coltrane, Steve Ray Vaughn and more.